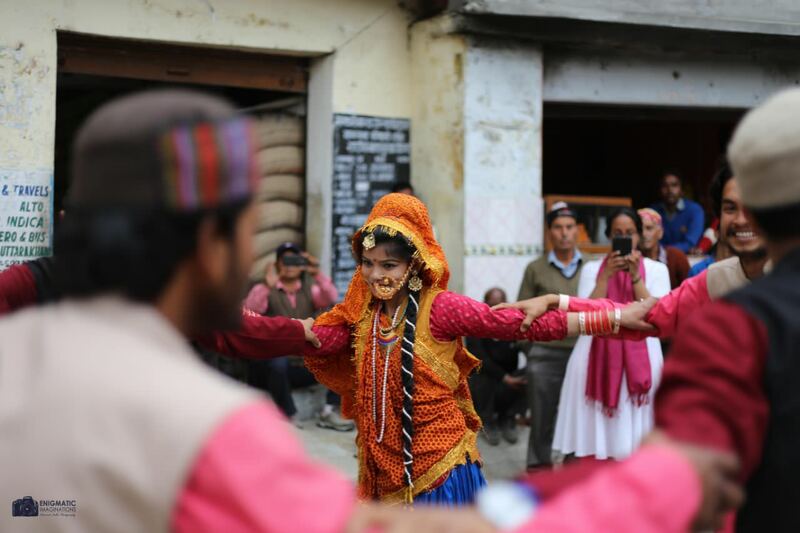 The 4th annual art and cultural festival of Kausani, the Buransh Mahotsav, began on the 6th of April and ended on the 11th of April 2018 at The Buransh Retreat. This year the theme of the festival was “Celebrating the Himalayan Culture“. 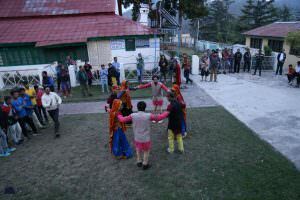 The festival takes its name from the Buransh (Rhododendron) flower which is also the state tree of Uttarakhand. The red flower carries the crux of The Himalayas in its unmatched beauty and use. The only state to celebrate the beauty and culture around he Rhododendron is Sikkim, and Uttarakhand, despite its incomparable natural beauty and culture, lags behind. The Buransh flower has its mention in folklore, songs, festivals and literature in Kausani and has a special place in peoples’ hearts. 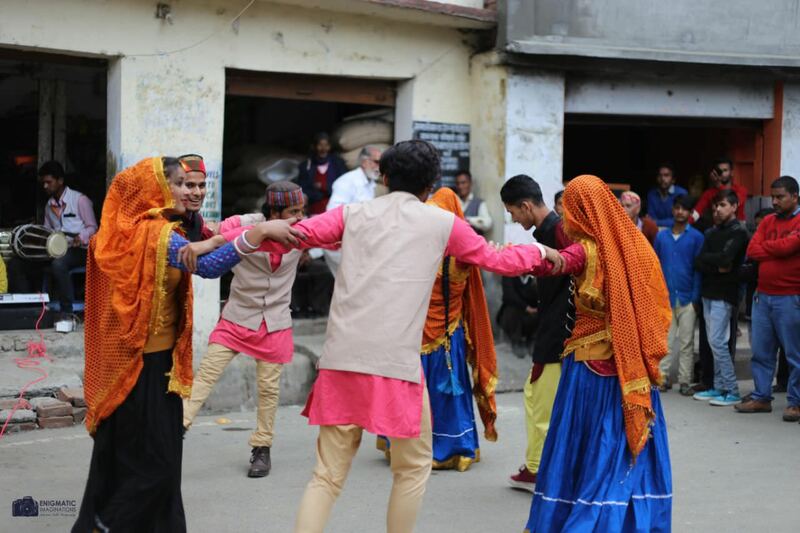 From the hill station of Kausani, an ignored rural area in Uttarakhand but also the epicentre of biodiversity, culture, and literature, The Buransh Mahotsav aims to celebrate the mountains, the age-old arts that take shelter in them, and promote responsible tourism. The Buransh Mahotsav became a platform for local entrepreneurs and artists to display traditional artefacts, notably those created by the fallen bark, branches, and seeds of the pine tree.Amid several speakers, one was social activist and President awardee Basanti Bisht who has led the conservation effort save the local river, Koshi under “Nadi Bachcho Abhiyan”. She along with Mr. Pant led an awareness walk around the Koshi river starting from its source in Peenath forest leading to the village of Kantli. With heritage walks to Gandhiji’s Anashakti Ashram, Sarla Ben ashram, Sumitranandan Pant gallery, to watching the 200+ bird species in Kausani, The Buransh Mahotsav is doing more for the culture of the quaint town than most initiatives put together. Rajesh Bhatt, a renowned birder and speaker at The Buransh Mahotsav led enthusiastic 150 participants on a nature trail for bird watching.The participants.armed with binoculars and incomparable knowledge of Mr.B hatt spotted Blue Whistling Thrust, Ultramarine Flycatcher, Russet Sparrow, Himalayan Bulbul and more. 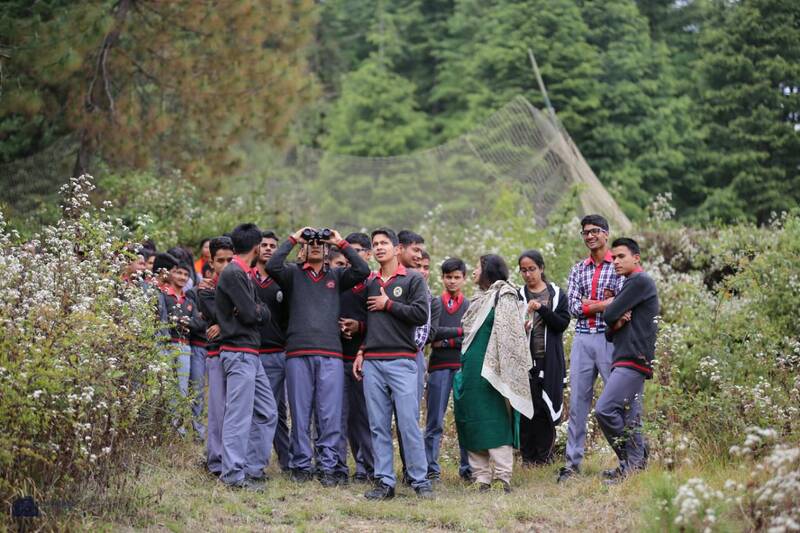 Bhatt believes that Kausani can immerge as a top birding destination of Uttarakhand. 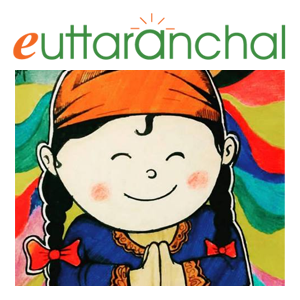 Anjali Thapa and Neelam Mohile, painters from Dehradun and Mumbai ,respectively, conducted live painting workshops for the children of nearby villages. The Buransh Mahotsav is also working with the government: Director General, Chief Conservator of Forests Eco-tourism, Uttarakhand, G S Pandey, also lead an insightful session on promoting the eco-tourism in Uttarakhand.He shared about his plans to start nature camps in Kausani and also develop hiking trails. 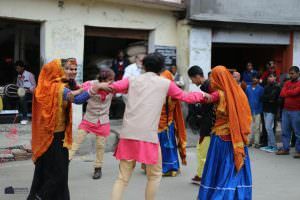 Kumaoni cultural programmes with the support of cultural department were organised in which Chapeli and Nyoli were performed in the marketplace and the Anashakti Ashram. 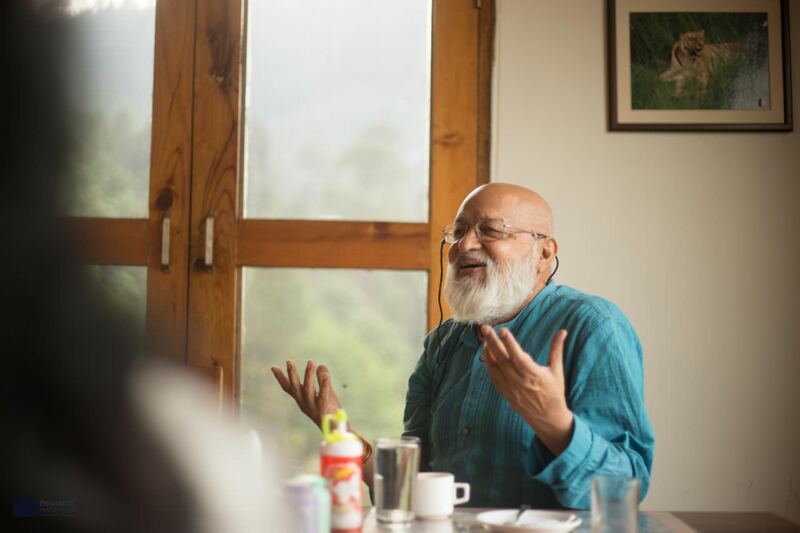 On the closing day, there was an ecotourism conference where Gopal Dutt Bhatt, poet and former minister, said that for the development of the country, we should first become better citizens. He also emphasised the need to improve the level of education and the need for good guides, better infrastructure and a basic foundation for tourism development. The village head of Kausani, Ravindra Singh, said that the government needs to participate and collaborate with the people for the development of forest, adventure activities and ecotourism. 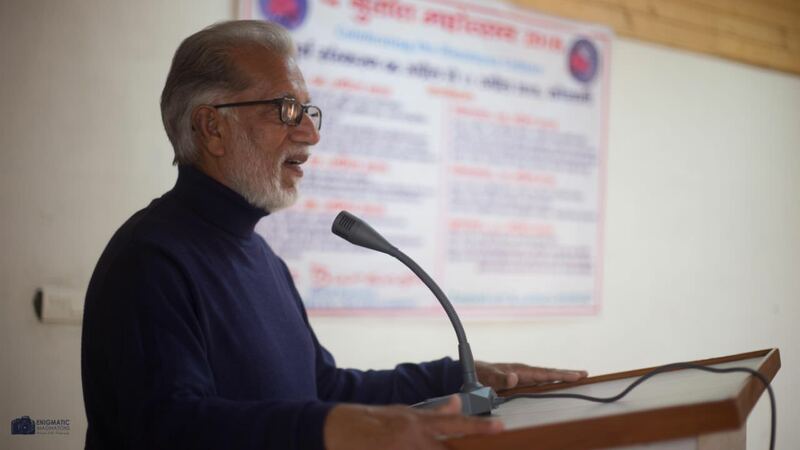 He thanked the festival’s curator, Threesh Kapoor and said he has taken an important step in the development of Kausani.Lal Singh, the Secretary, gave information about the work done by the village clusters under Deen Dayal Upadhyay Yojana. Balwant Singh Shani, SDO Forests discussed government initiatives and suggested measures to reduce man-animal conflict. He said that in Bageshwar district, there are 90 tourist pathways that are being developed. 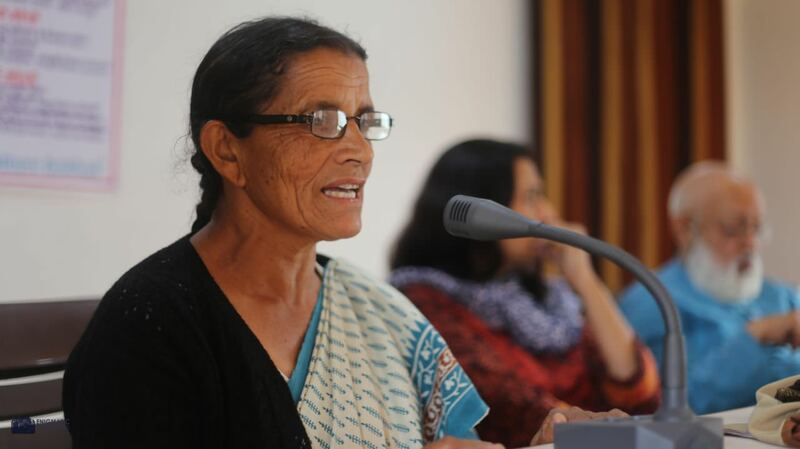 Social activist Basanti Ben raised a pertinent issue and stressed how every family, shop and hotel needs to contribute to manage solid waste. There was also an emphasis to ensure that Kausani is part of one district – Bageshwar or Almora and not both. Chandan and Rudraksha trees were provided by Kishan Malra, after which all guests present at the festival planted the saplings. The students of Neha Dance Academy, who came from Bageshwar, performed the traditional Pahadi dance and songs. 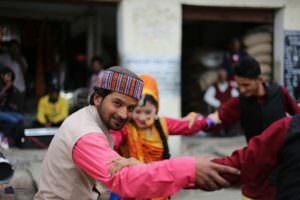 The festival, open and free to all, has seen abundant participation from local the communities and is an effort of the Himalaya Study Centre and The Buransh Retreat towards building and preserving a sustainable and culturally rich Kausani. The festival is one of the few initiatives in the country that is celebrating the art, culture, heritage, and natural beauty of a rural region. 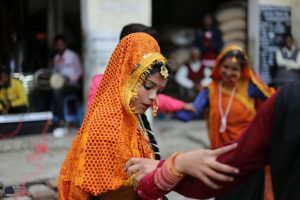 The festival took place in Kausani, a small village in Uttarakhand, which Mahatma Gandhi called the Switzerland of India. It’s a village with a rich history of art, preservation, and local activism but little or no information is available in the mainstream media. Excellent. Namaskar to Shri Threes Kapoor. keep up the great work Prasanna. 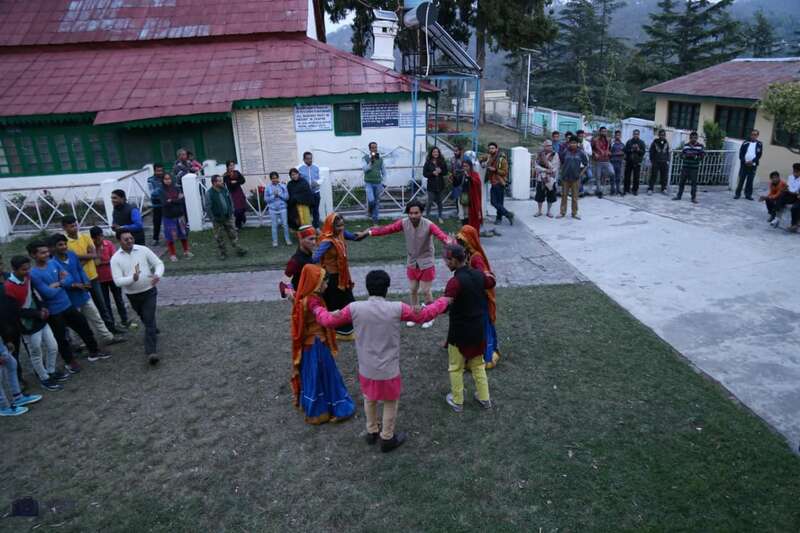 Blooming of Rhododendron flower has been marked with celebrations at the Buransh. Wonderful to know, excited to taste. Great Going. My humble wishes.